When you walk through the door of our Kilwins, you will smell the sweet aromas and see our large assortment of tasty treats. You can watch us paddle Mackinac Island Fudge the traditional way on a marble table or cook Caramel to perfection in a traditional copper kettle to make a wide variety of products, including Granny Smith Caramel Apples, Corns, and Brittles. At the same time, you can watch our team members dazzle your taste buds as they create delicious confections such as caramel and chocolate covered Pretzel Rods, Oreos, Rice Krispie Treats and Marshmallows. In addtion, we have hand-dipped chocolate covered Strawberries and Pralines available on a daily basis. We also offer a large assortment of Chocolate Truffles, Creams, Caramels, Tuttles, and Barks as well as a large selection of Sea-Salt Caramels. All of these products are hand-crafted in our kitchen in Petoskey, MI using Kilwins Heritage Chocolate. You can also come visit us to cool off by treating yourself to a hand-dipped scoop of one of our 32 original recipe flavors of ice cream in a freshly made waffle cone. One of those flavors is named for our local community, Tennessee River Mud, which is a velvety vanilla ice cream with an explosion of chocolate chips and heavy caramel swirled throughout. Freshly squeezed Lemonade or one of our Koolers made from our Lemon or Raspberry Sorbettos can also be a refreshing experience on a hot day. For those days when the termperature drops or if you just need a pick me up, we also make incredible, smooth tasting Hot Chocolate from shaved chocolate and offer a variety of coffee products. Kilwins has been “Sweet in every Sense since 1947”. Now, you can share the experience of a Kilwins with friends and family by visiting our new, locally-owned and operated Kilwins in downtown Knoxville! 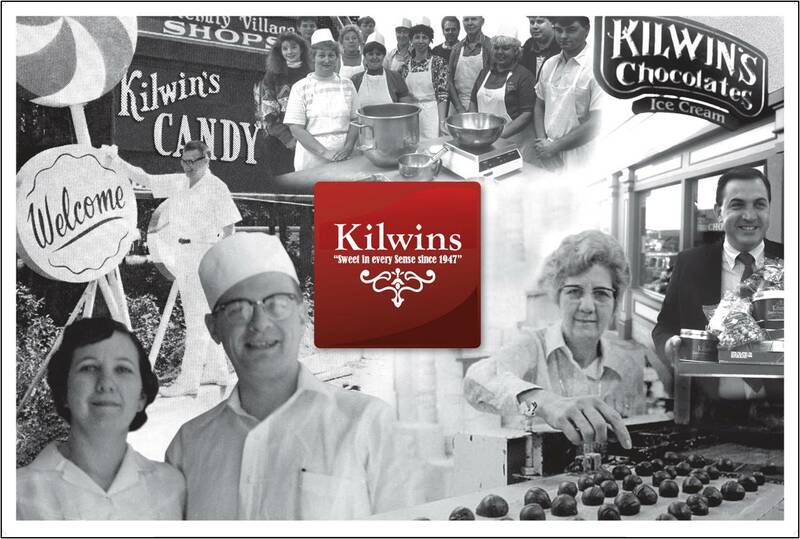 As we open our new Kilwins store, we are excited to have the opportunity to hire members of the community to join our team. The ideal team member must be committed to our core values by treating others as you want to be treated, doing your best, and having fun. Team members must also feel comfortable interacting with our customers to achieve our core purpose of creating enjoyment and making people happy. If you are interested in joining our team, in a management, counter sales or kitchen production position, download a copy of our application by clicking here and submit it to knoxville@kilwins.com.